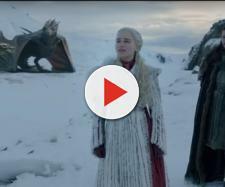 'GoT' creators confirmed in an 'Inside the Episode' clip that only Targaryens can ride dragons, which could imply that the Night King is a Targaryen. The Night King's identity, is, without a doubt, one of the biggest mysteries in "Game of Thrones." And now, thanks to an "Inside the Episode" clip that HBO released shortly after Season 8 premiere, we may have gotten one step closer to cracking this mystery. There are spoilers from the first episode ahead. Did Benioff just spoil the Night King's identity? 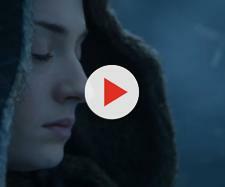 In the "Game of Thrones" Season 8, episode 1 "Inside the Episode" clip, David Benioff and D.B. Weiss, the show's creators, offered fans an in-depth look at some of the most prominent scenes from the episode. A particular emphasis was on reunions, tensions, and pilot references. All in all, nothing too crazy here. However, it was when David Benioff was talking about Jon Snow riding Rhaegal that he confirmed that only Targaryens can ride dragons. But does that mean the Night King is also a Targaryen, given his ability to ride Viserion? Before I answer this question, take a look at the "Inside the Episode" clip down below. The part about Targaryens and dragons is at 2:58 mark. In what was definitely the creepiest scene in "Game of Thrones" Season 8, episode 1, Tormund Giantsbane, Beric Dondarrion, and Eddison Tollett found the body of Ned Umber. The young lord of the Last Hearth had been strung up on the wall and surrounded by severed human limbs arranged in a spiral symbol. And when the poor boy came back as a wight, screaming, Beric was forced to stab him with his famous sword, setting the spiral symbol aflame. "It's the message from the Night King," Beric said ominously, leaving fans wondering about the true meaning of this spiral symbol. Now, it should be noted that we've already seen this symbol several times in "Game of Thrones." It's first seen when Jon Snow revisits the Fist of the First Men in Season 3, episode 3. Next, it's seen in "The Door" episode around the Weirwood tree where the Night King was created, and then inside the Dragonglass cave in Season 7's "Spoils of War." — Game of Thrones Season 8 theories (@GOTS8theories) 17. април 2019. If you take a closer look at the spiral symbol, you'll notice that it kind of looks like a Targaryen three-headed dragon sigil, which led some fans to believe that the Night King is, in fact, a Targaryen. — Ehsan (@i_ehs_) 15. април 2019. — Robin (@robinjagal) 15. април 2019. If what David Benioff said in the "Inside the Episode" clip is true, and only Targaryens can ride dragons, then it would mean that the Night King shares the same bloodline as Jon Snow and Daenerys. Fortunately, we don't have to wait long to find out if this theory is correct. "Game of Thrones" Season 8, episode 2 airs this Sunday, April 21 at 9/8c on HBO. Make sure to follow the "Game of Thrones" channel here on Blasting News to stay up to date with all the latest theories, including the one about the Night King's identity.